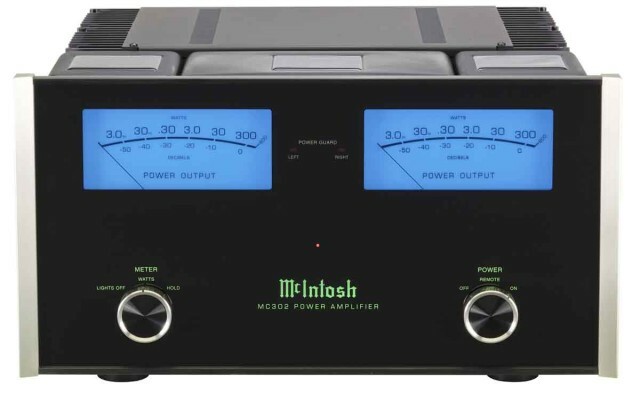 The McIntosh MC302 utilizes the latest McIntosh technology to produce one of their best amplifiers ever. This is the perfect amplifier for any high-end stereo system. With 300 watts of power per channel, you won’t have trouble giving your speakers the power they need to produce the sound you want. Of course, McIntosh’s trademark design makes this amplifier unique from any other brand on the market. The MC302 also features McIntosh’s latest in gold-plated binding post technology, ensuring you have the best possible connections for any speaker you own. See this PDF brochure from McIntosh about the MC302.